* Prices quoted are the starting prices for ten guests. They are subjected to change by the venue without prior notice and prices may vary depending on the booking date. This should only be used as a guide. Nestled atop the forested Labrador Nature Reserve, the restaurant is perfectly reminiscent of the original Tamarind Hill Kuala Lumpur, preserving the milieu of being in a stand-alone historic colonial bungalow amid a vastly green surrounding. 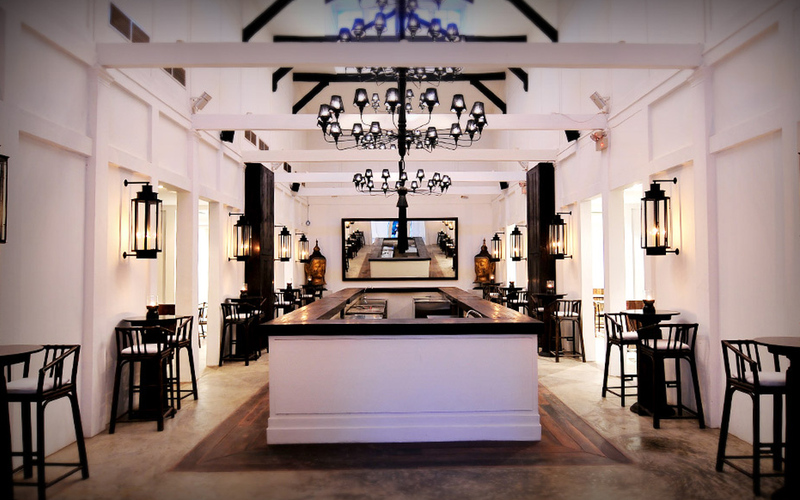 An ambiance redefined by Tamarind's unmistakeable rustic-luxe Asian character and flair, the restaurant serves traditional and contemporary Siamese cuisine within this elegant venue just minutes away from the city. We offer unique venues for all occasions, from wedding of up to 200 guests to intimate settings for solemnization, birthdays and anniversaries. We offer personalized services to meet your needs. Click in to view prices in see package details. Shop handmade wedding crafts from local vendors. By signing up, you agree to OneThreeOneFour's Terms of Service aand Policies. Venues by OneThreeOneFour is a platform for couples to discover their perfect wedding venue. We curate the best wedding venue in Singapore to make wedding planning a fuss-free experience. Proudly made in Singapore. Copyright © OneThreeOneFour (Nectary Studio Pte. Ltd.). All Rights Reserved.